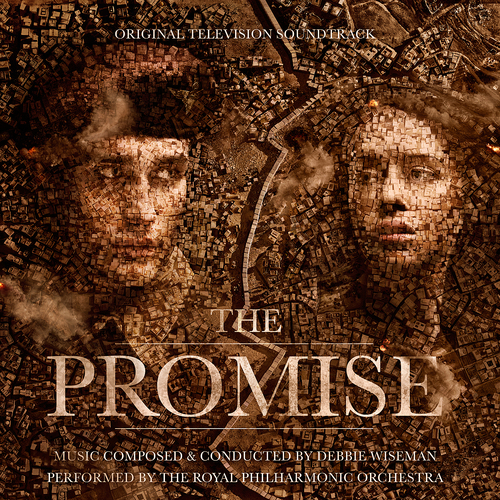 From Debbie Wiseman MBE, one of the UK's most prolific and celebrated film and TV composers, comes an ambitious orchestral score to Peter Kosminsky’s epic four-part Channel 4 drama The Promise. Well known in the British film and television industry for her lyrical style, Debbie Wiseman has been called "the most romantic and lyrical composer alive in Europe today". Film Music on The Web describes Debbie as “one of our finest composers” and All Music Guide refers to “melodramatic flair and textural splendour” being the hallmarks of Debbie’s film work. Composing more than 200 scores for film and television, Debbie’s output includes movie soundtracks for Wilde (which won her an Ivor Novello Award), Flood, Lesbian Vampire Killers, The Truth About Love and Arsène Lupin and TV themes for Children's Hospital, Warriors, Jekyll and Jackanory to name a few. The Channel 4’s four-part drama serial centres around a British girl who travels to Israel/Palestine and retraces the steps of her grandfather who was a British soldier stationed there in the 1940s. To bring this story to life musically Debbie has drawn on Arabic and ethnic influences, and has featured the Duduk, Kaval, Oud, Arabic violin, Arabic vocal, and ethnic percussion - as well as a full symphony orchestra of strings and woodwind.